Sweet Tea and Housewives are some of the obvious things that come to mind when thinking of Georgia. However, the stage has been set for The Peach State to become the new promised land for creative opportunities. 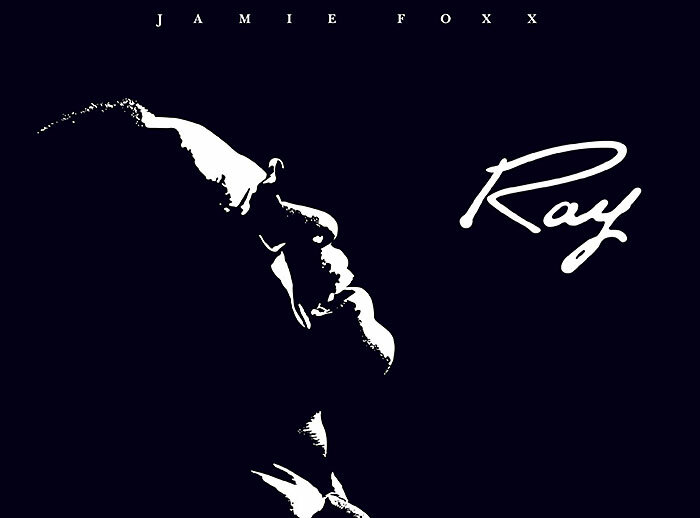 In 2004, the celebrated film Ray, starring Jamie Foxx, won an Oscar and grossed $125 million dollars at the box office. The legendary musician Ray Charles was a Georgia native and his rendition of Georgia On My Mind is the state’s official song. However, the movie Ray was filmed in Louisiana. This cinematic blunder immediately rallied the troops and stoked the fire for Georgia to become the Hollywood of the South. In order to aggressively compete for lucrative film & TV productions, the Georgia Film industry and Department of Economic Development made an offer film and TV producers could not refuse. Today, qualifying media productions (film, tv, music videos) will receive a 20% tax credit, plus an additional 10% credit for embedding a Georgia Peach promotional logo in the film title or credits. This bold economic strategy is reaping big financial rewards for the state. 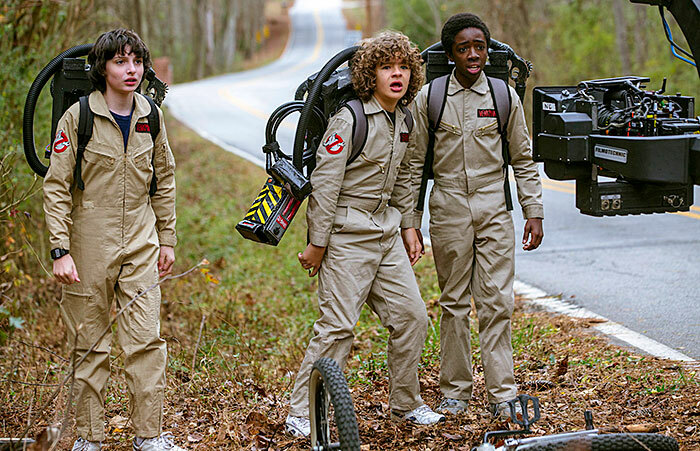 In 2017, Georgia Film created $9.5 billion dollars of economic impact for the state. Move over China, India, Nigeria, and Hollywood. Georgia is now home to the 5th largest film industry in the world. Georgia has implemented a statewide “Camera Ready” policy for all counties. Each county is employed with a designated County Liaison that educates the community on production basics, to provide local expertise and support to film and TV productions. The liaison’s support services include obtaining permits, crew directories, photo libraries, prop rentals, and scouting commercial and residential locations. 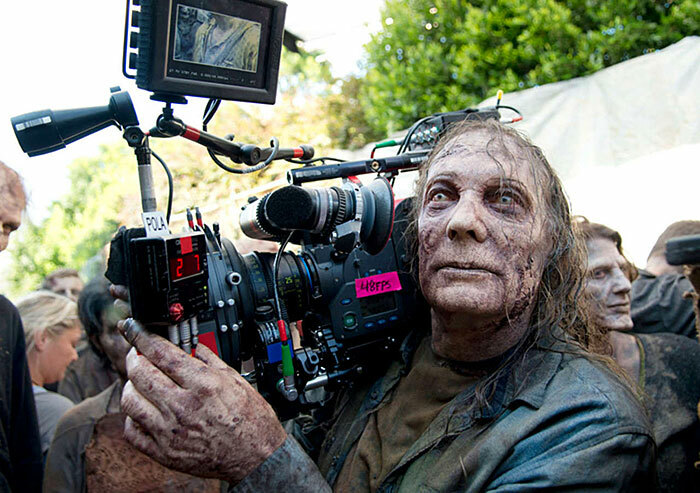 To help expand the “Camera Ready” mandate, entertainment industry veteran Jeff Stepakoff was hired in 2015 to launch the Georgia Film Academy. 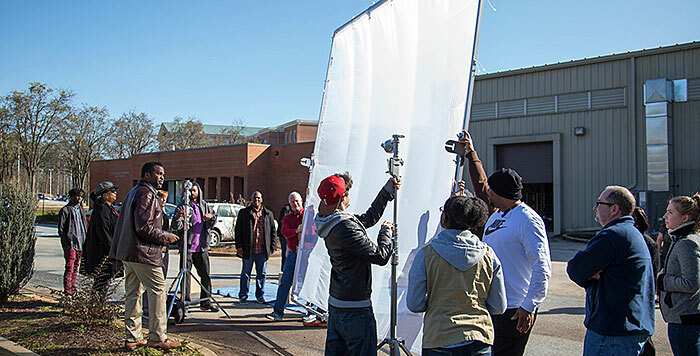 The GFA is a statewide workforce initiative to train Georgians for employment in the state’s film & TV productions. The academy has partnered with 13 local schools and universities to recruit and train students for a GFA Production Certificate. Students must complete 18 credits of education in film & television production, set construction, scenic painting, lighting, electric, grip and rigging. Paid internships with real productions are also available. The goal of the GFA program is to employ local residents in “Below the Line” craft positions, such as camera operators, hair & makeup, set construction, film editors, sound engineers, costume design, production managers, script supervisors, and grips. These might not be considered overtly glamorous jobs, but they constitute the majority of in-demand work opportunities and the essential crew members needed for all television and film productions. Tyler Perry has long been a creative force of nature. He has written, produced and directed approximately 20 feature films, 7 TV series and 20 plays. His projects include Diary of a Mad Black Woman, The Have and Have Nots, and Boo! A Madea Halloween. In 2006, Perry built TPS, his film and entertainment studios in central Atlanta. With that venture, he became one of the few directors to own his own large-scale studio complex, which included sound stages, pre and post-production facilities, and event spaces. The studio ownership enabled Perry to have complete in-house control over his content and crews. In 2015, Perry acquired Fort McPherson Army Base, with plans to use it as a production studio. The 330 acres contains 37 buildings, corporate headquarters and a production facility known as the “Dream Building”. The campus also includes 200 acres of greenery, a massive back lot, and a neighborhood. At this time, 13 sound stages have been completed, with more on-site construction scheduled to take place. Senoia (pronounced sen-OY) was about as sleepy as a rural, southern town could be. Located 25 miles south of Atlanta, the town had only five stores open for business on Main Street, and only 2,000 residents. By all accounts, Senoia was slowly dying, but then suddenly it was repopulated with an influx of the undead. 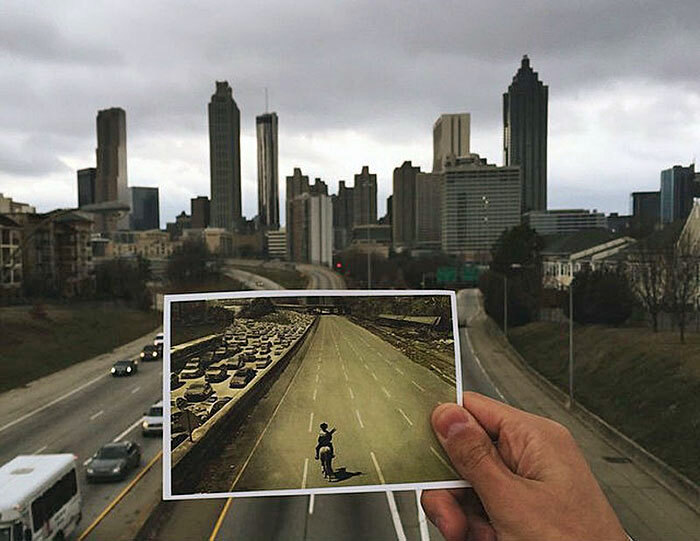 The quiet town became the primary location for the AMC series The Walking Dead. Overnight, Senoia morphed into the fictional town Woodbury, which is inhabited by an apocalyptic array of zombies and makeshift armies. While strolling through the town, I was impressed by how real the fake buildings, and the “safe zone community” Alexandria, appeared to be. Tourists can easily become confused trying to differentiate between the set design and the real town because they are seamlessly intertwined. Since the series premiere in 2010, Senoia has exploded with local business development, population growth, and staggering tourism, all while maintaining its small-town visage and charm. Although Senoia has been recently revived with the zombie insurgency, the town did have a cinematic history before The Walking Dead. Main Street proudly displays a movie Walk of Fame which includes Driving Miss Daisy, Sweet Home Alabama, Fried Green Tomatoes, The Fighting Temptations, and Footloose. To help increase the town’s creative momentum, the local Riverwood Studios was purchased by the AMC network. The facility and grounds house four large stages with full production services. In a galaxy far, far, away, the legendary Pinewood Group has produced a stellar roster of great filmmaking for over 80 years. Their classic films include Oliver Twist, Mission: Impossible, The Da Vinci Code, Star Wars: The Force Awakens, and the James Bond franchise. With a global network of studios in the U.K., Dominican Republic, Malaysia, and Toronto, a Pinewood branch has now taken root in Fayetteville, Georgia. 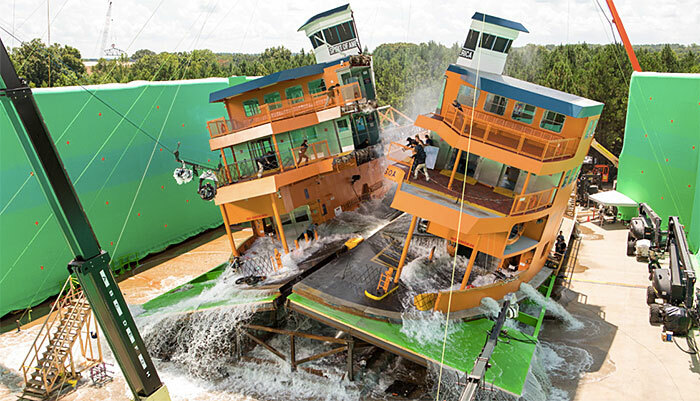 Known as Pinewood Atlanta, the studio sits on 700 acres and is home to 18 sound stages. The facility is designed to create film, television, music and video game productions. 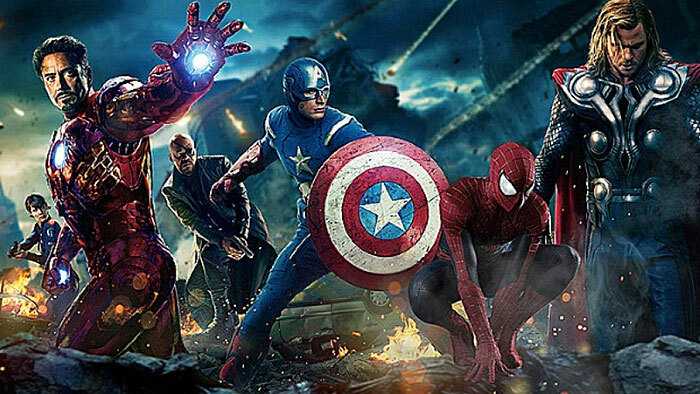 Marvel Studios rents space at Pinewood Atlanta and has filmed six of the Marvel Cinematic Universe films on the lot. The projects include Black Panther, Guardians of the Galaxy Vol. 2, Ant-Man, and Captain America: Civil War. Permission to enter Pinewood Atlanta is a rare golden ticket. I needed to sign a lengthy Non-Disclosure form, surrender all mobile and camera devices, and stay within a closely chaperoned group. Superhero movies are a billion-dollar business, so content leaks cannot ever be a risk. If you are longing to surround yourself in a creative environment that will inspire your artistry and fulfil your utopian dreams, look no further than Pinewood Forrest, a 234 acre mixed commercial and residential development. Envisioned to be the “ultimate sandbox for a creative community”, Pinewood Forrest is located just down the road from the Pinewood Atlanta campus. The Forrest is currently under construction and will include European style single-family homes, micro cottages, multi-family flats, townhouses, and tree homes. The housing prices range from $375K to $1 million dollars. 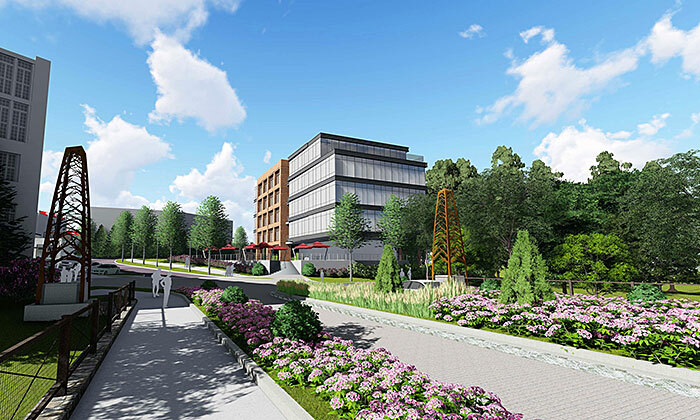 The development also includes 15 miles of trails and walkways, a performance center, a boutique hotel, pools, farm-to-table restaurants, a wellness center, playgrounds, and artisanal retail shops. At the center of all this bliss will be a Village Square designed to be the heart of the community and action. Pinewood Forrest may unintentionally become a future case study regarding urban planning for creative tribes. The first phase of development is scheduled for completion at the end of 2018. Arriving in Covington I quickly realised that I was officially in the Deep South. I noticed people’s speech became distinctly slower and more lyrical. The food became more calorie dense and plentiful around my waist, and the landscape became more haunting and expansive. Looking at the town’s decor and architecture, I suspected I must have taken a step back in time. During the American Civil War In 1864, General Sherman’s troops marched through Covington. Although the Union troops looted the city and destroyed numerous buildings, several antebellum homes were spared. 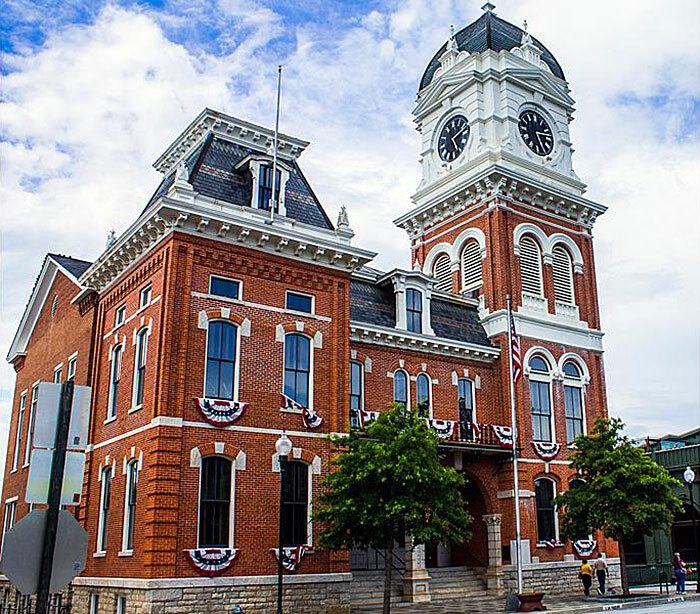 Today, the Covington Historic District includes the 1864 built courthouse and many homes that are listed on the National Register of Historic Places. Surrounding all of the vintage structures is an abundant countryside. Time has stood still in Covington, marked by the obelisk and flagpole, still standing in the middle of the town square. All of these elements combine to make a very enticing location for art directors and cinematographers that want to take you back to the future. Covington has become a hot property for more than 60 film & TV productions, including The Dukes of Hazzard, My Cousin Vinny, In the Heat of the Night, The Accountant, and Selma. For nine seasons, Covington also transformed into Mystic Falls, for the popular series The Vampire Diaries. If you want to play under the big top, Covington’s got you covered. Three Ring Studios, expected to be one of the largest movie studios in the world, is coming to town. Located 2 miles north of Covington, the studio will offer sound stages, and post-production facilities for film, sound, television, commercials, live TV shows, and new media. CEO Rahim Charania has become the unlikely ringmaster of the facility. His previous experience was as the Founder of AFS, a national leader in the fueling industry. Undaunted by his new venture into the entertainment business, Charania is thrilled with the idea of working with creative people who want to bring imagination into reality. Construction of Three Rings Studio is scheduled to be finished by late Fall 2018. The coastal city of Savannah was established in 1733. The city is known for its complicated political history, ethereal vibe, cobblestone squares, horse-drawn carriages, and oak trees covered with Spanish moss. 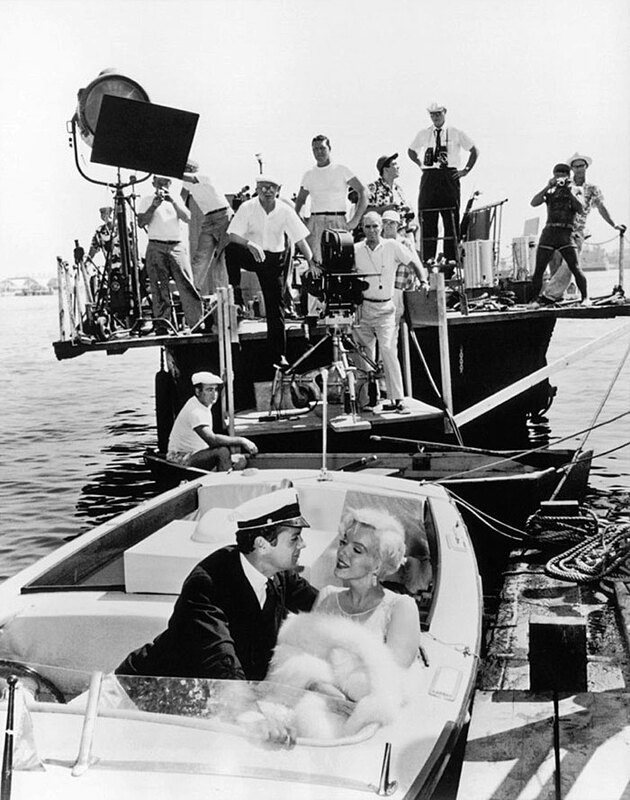 For 100 years the phrase “Lights, Camera, Action!” have been uttered throughout Savannah and on the beaches of Tybee Island, making the region one of the most photographed, filmed and visited locations in the country. As you walk around the city it is easy to see why it would be a mecca for storytellers, artists, and conjurers of all kinds. 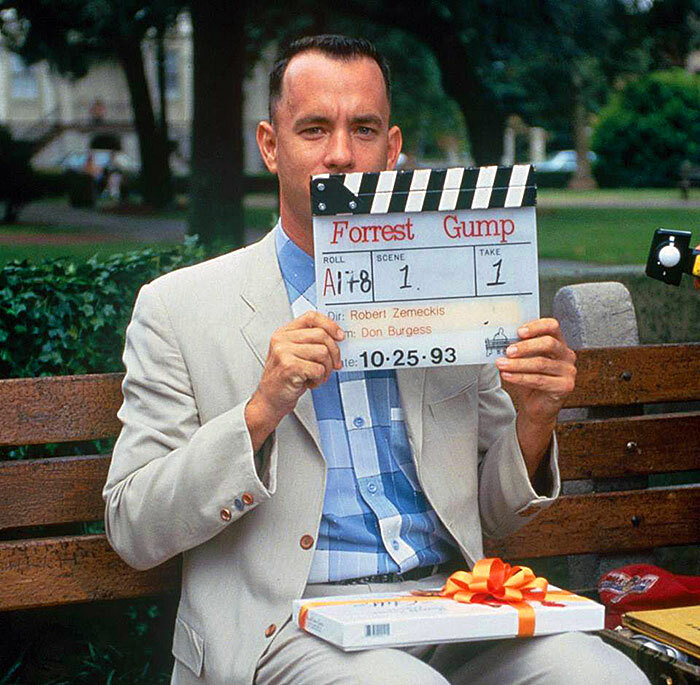 Many of the seduced have created exquisite productions such as Forest Gump, Roots, Midnight In the Garden of Good and Evil, and Glory. Recent projects include Birth of a Nation, Magic Mike XXL, Southern Charm Savannah, and the Baywatch movie. To get the inside scoop from a local film auteur, head over to Leopold’s Ice Cream shop and ask for the owner Stratton Leopold. When Stratton is not behind the counter scooping ice cream in his family owned creamery, he has been moonlighting for 40 years as a major movie producer and director. His credits include Captain America: The First Avenger, Mission Impossible III, The Wolfman, The Mosquito Coast, and The Big Chill. If you don’t have your hopes set on being the next Steven Spielberg or Meryl Streep, you can kick back and relax as you cruise through local film & TV history. 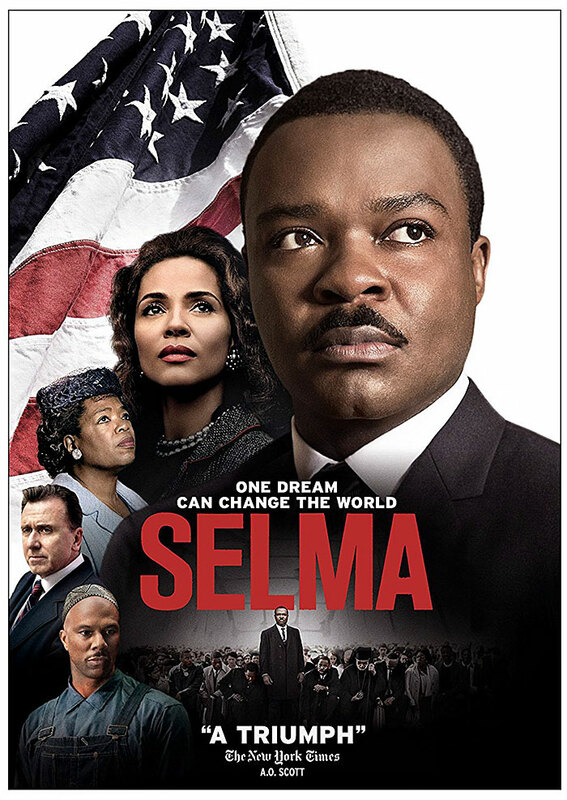 The Atlanta Movie Tours and Savannah Movie Tours will pick you up in a luxury coach and take you to locations featured in Stranger Things, The Hunger Games 1 & 2, The Fast and Furious, Ride Along, Blind Side, Gone With the Wind, and many more. Guided by actors that have worked on many of the local productions, they narrate the history of the city and recount juicy behind-the-scenes stories about life on the set. After thoroughly exploring the massive Georgia Film industry, an apropos song lyric sung by Ethel Merman, came to the forefront of my mind, “There’s no business like show business”. Photos © Georgia Film, Marvel Studios, Pinewood Forrest, AMC Network, Tyler Perry Studio, Georgia Film Academy, Atlanta CVB, Film Covington.